Happy Belated St. Patrick's Day! I'm not Irish, and don't really have any Irish traditions so this was a nice way to start one. The recipe has only four ingredients. With so few, they have to be good, and they have to be treated and executed well. Don't overmix, bake enough, don't over bake. And most of all, don't dilly-dally around once the buttermilk is combined with the dry ingredients. Baking Soda, the star of Soda bread, needs two actions to start the CO2 flowing. Liquid and Acid. The buttermilk provides both. Once it's added, the magic begins. The key is to mix quickly and completely and get the bread into the oven so it can start baking and rising even more. My dough took off right away. You can see it start to spring just after I made the slashes on the top. The bread baked evenly and had a nice hollow thump when tapped. We tryed to wait overnight to have it for breakfast, but we couldn't wait. After about 15 minutes of cooling, I cut off two slices for tastes. It was really tasty. 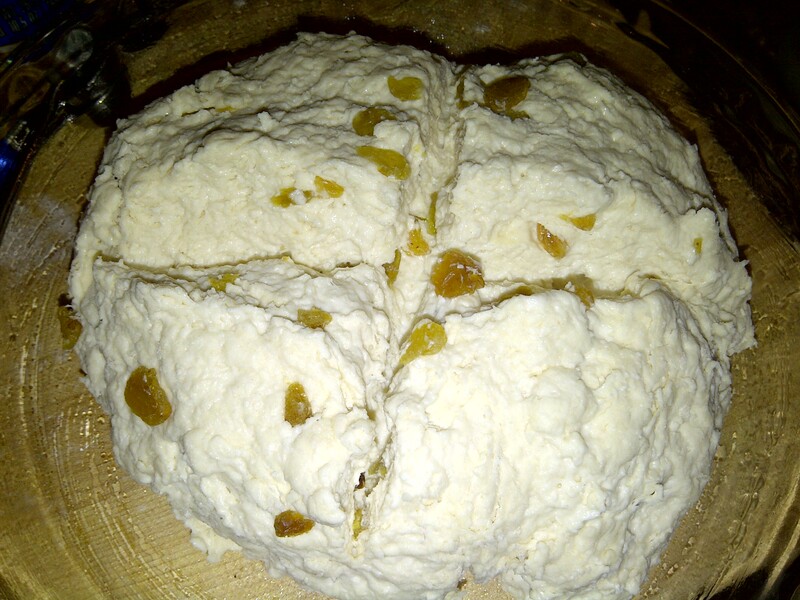 I added golden raisins, which added a gentle taste and texture. If you'd like to try the recipe, Carla and Cathleen , are the Tuesday's with Dorie/Baking with Julia hosts and will have the recipe on their blogs. 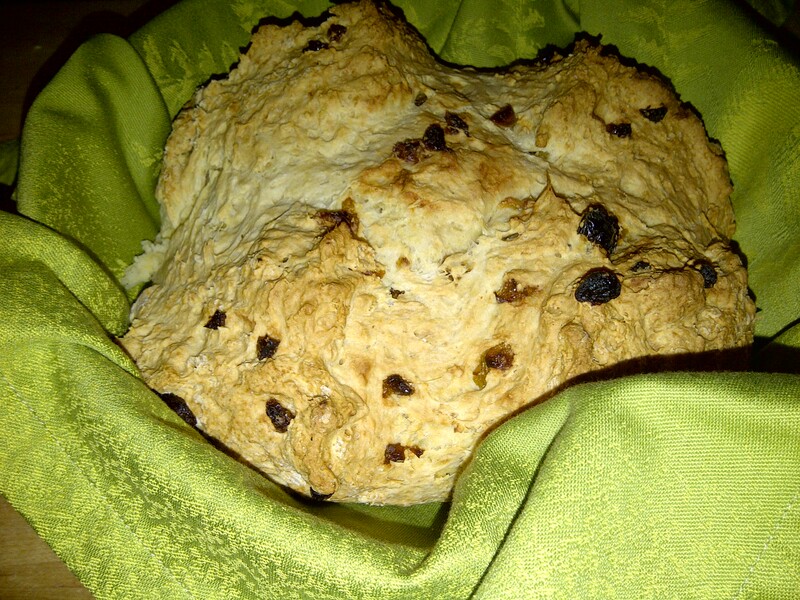 Here's the finished Irish Soda Bread, a new tradition!